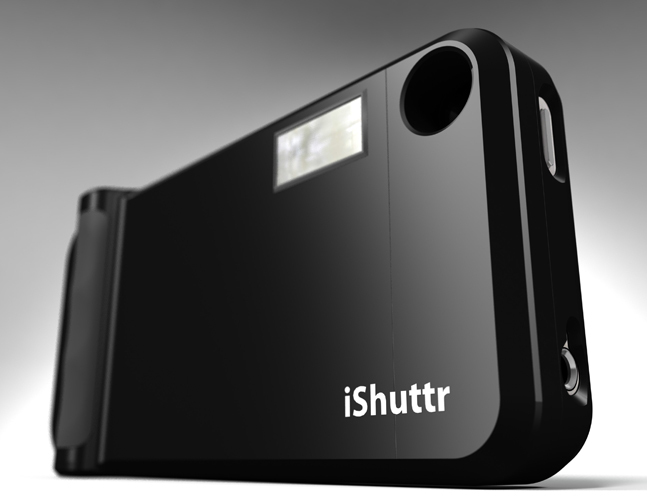 iShuttr is a camera case for the iPhone 4. 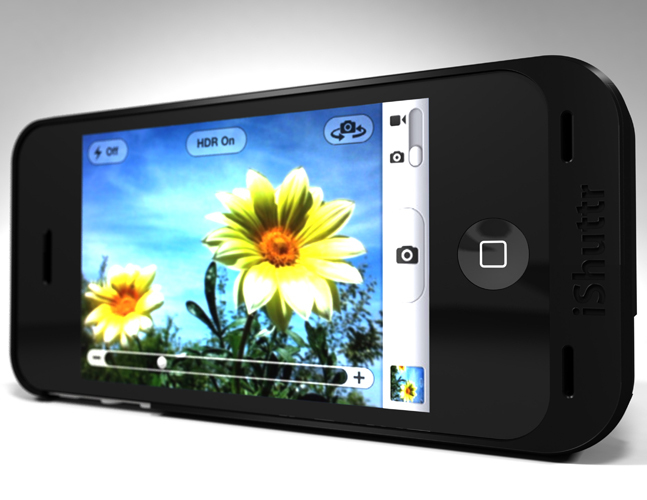 Turn your iPhone into a real point and shoot camera with external buttons and a real flash! Hello.. Thanks for stopping by our Kickstarter page! With your help, we can develop this camera case for all photographers who use a mobile device to take pictures. Our goal is to make mobile photography better! 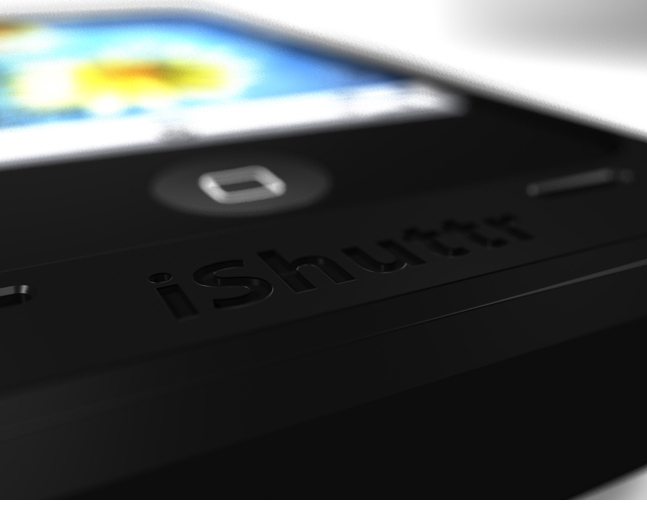 iShuttr is a patent pending camera case for the iPhone 4 that allows you to take better pictures faster. No matter if you're using a mobile device or a digital SLR camera, the first rule of photography is always lighting. Most devices, including the iPhone 4, come with an LED flash that works great for up-close photography. The issue is the LED has trouble extending beyond 2-3 ft. This is where iShuttr comes into focus. We've added a real firing flash to the backside of the case so you can always shed some light on the subject and capture that special moment. 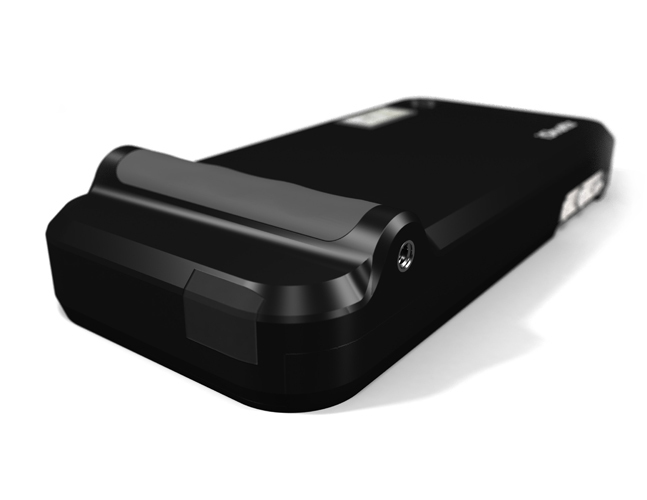 iShuttr comes with a smart external battery system so you have plenty of power to spend the day out on location. We've also made it easy to charge the LiPO battery and upload your Photos through the external USB port on the bottom of the case. You can toggle between Charging and Standby with the push of a button. Why use the touchscreen? We've added zoom in/out buttons and a shutter release to the case so you can shoot with superior control. When you use the touchscreen to activate the shutter, you're actually pushing on the lens just enough to create a bit of motion blur, this is why it's hard to capture the shot sometimes. 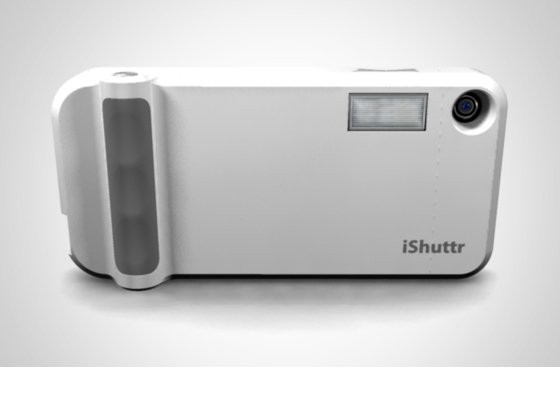 When you're using iShuttr, your device truly becomes a point & shoot camera! Since we tackled the flash, the power system and the external controls... We started to focus our attention on the design of the case and how it would be used, which is by hand or with a tripod. We had to make sure the case was comfortable when holding it but could also mount to any standard tripod using a 1/4-20" thread pattern. That's when we decided to add the ergonomic grip area to bring everything together. By adding the grip, the user now has a place to rest their fingers when shooting, the shutter release button becomes easier to access and now you can mount your device to any tripod. So this brings us to you..
We're posting this project on Kickstarter because we need help raising the funds needed to finish all the research and development. We can build the app software and do the prototypes ourselves, but the real problem is we need to purchase a lot of components to start building units so we can begin the testing phase. We've already tackled a big hurdle, we're Apple software developers and we've even obtained Apple's MFi license, which stands for "Made For iOS". This means we're licensed on behalf of Apple to create software and accessories for their iOS products. Our problem is in order to submit iShuttr to Apple for consumer grade testing, we need to develop final units and have them tested by a 3rd party test facility first. Another interesting thing about this project is we're planning to do all the injection molding plastic pieces ourselves. We've partnered with MakeYourOwnStuff.org (MYOS) and we will be using their injection molding machines to develop all the plastic parts for the iShuttr case. This is a great way for us to showcase how the MYOS platform can be used to make awesome commercial grade plastics. Having this resource allows us to proudly manufacturer this accesory in the USA. By funding our project, you will supply us with the money needed to purchase the MFi test kits and components needed to build the final units. Plus, we will be able to send the working prototypes to a certified Apple testing facility to have the preliminary tests conducted. We're confident the product will comply with all Apple rules and regulations, we just need the financial support to help get us there. With your help we can bring this product to the Apple Store and other Apple retailers nationwide. To show our appreciation, we're offering you the opportunity to pre-order your very own iShuttr Camera Case at a discount. By helping us here on Kickstarter, you'll save at least $20, plus some rewards even come with a tripod so you're ready to start shooting when everything arrives. This is just the beginning though, we already have a few other secondary products in the works and if funding goes well enough, then we plan to update the project with more info. 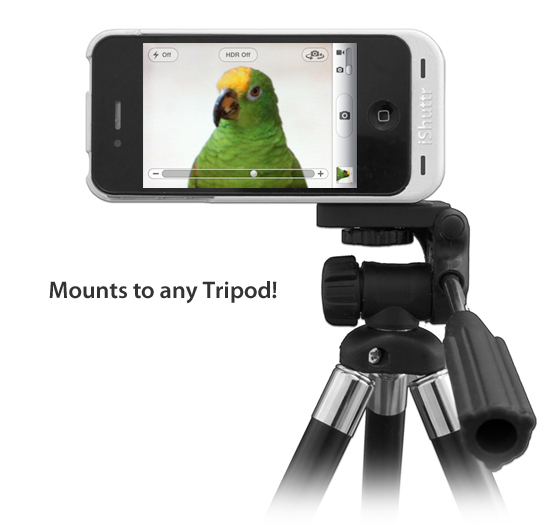 We do plan to offer the iShuttr camera case for the iPhone 5 and select Android devices. We will setup a sign up list on our website after the project ends for those of you waiting for the iPhone 5 and Android models. Visit www.iShuttr.com for an interactive 360 degree view of iShuttr. Note: All images are of prototypes. Apple Logos and iPhone 4 are both registered trademarks of Apple Inc. Android is a registered trademark of Google Inc. Shipping to the US is free. Shipping to Canada add $10, International add $15 to pledge amount. Thanks for taking the time to view our project! You'll receive an official iShuttr launch pack with stickers and a bunch of cool schwag. Plus, we'll put your name on our website as a contributor. 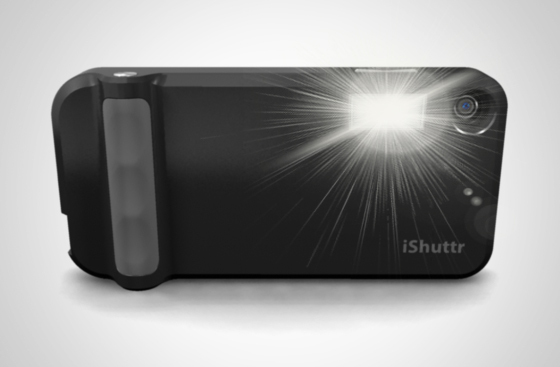 This reward gets you an iShuttr Camera Case at a discounted launch price. 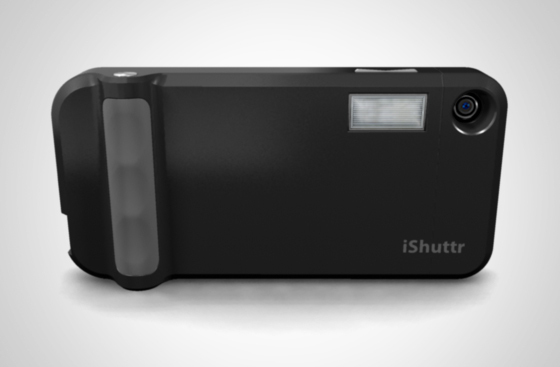 iShuttr cases will retail for $69.99, by pre-ordering your case now, you're saving $20! You will also get our official iShuttr launch pack with stickers and a bunch of cool schwag along with being listed on our website as a contributor. You will have your choice of white or black, we will send out a survey at the end of the project so you can choose your color. This is a combo pack reward. You will get your choice of 2 iShuttr Camera Cases, in any colors you want. 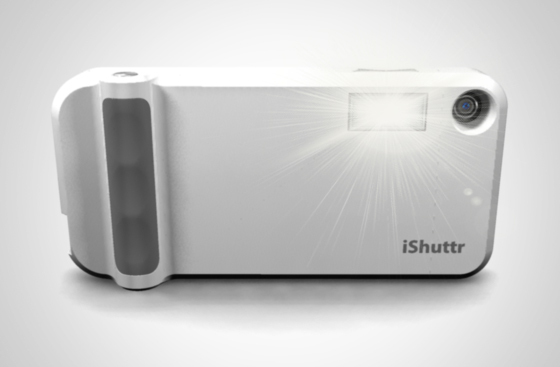 Each iShuttr Camera Case will retail for $69.99, but with a combo pack you're saving $40! Plus we'll throw in a set of mini tripods along with our launch pack and a bunch of extra schwag for you and your friends. You will also be listed on our website as a top level contributor who helped launch the product. You will have your choice of white or black, we will send out a survey at the end of the project so you can choose your color. This is super special reward! You will get a personalized Kickstarter Edition iShuttr Case, in your choice of anodized black, red or brushed aluminum finishes. 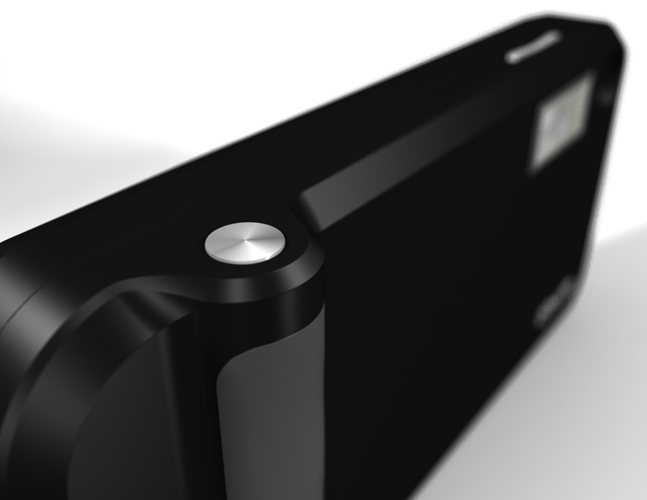 Each Kickstarter Edition Case will be anodized aluminum and will have a personalized serial number. Plus we'll throw in a regular plastic iShuttr case and a full size professional tripod with our launch pack. You will also be listed on our website as a pro level contributor. You will have your choice of color and finish for both cases, we will send out a survey at the end of the project so you can choose.